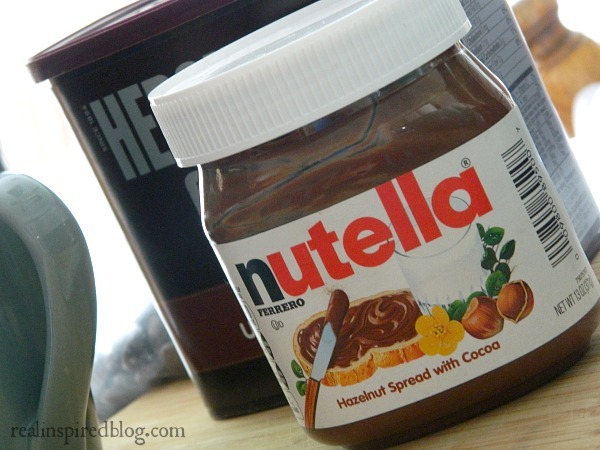 Everything's better with Nutella, right? Right. 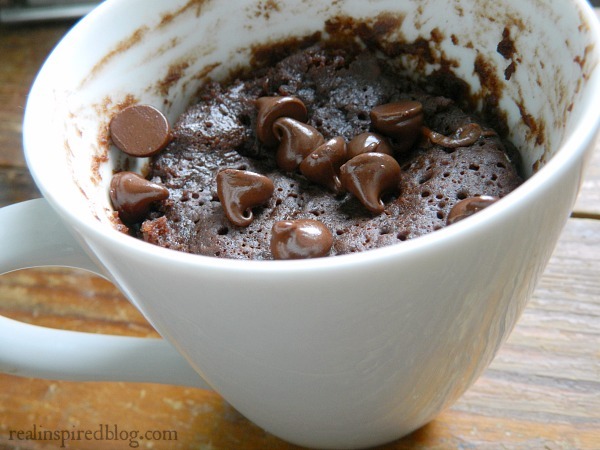 This triple chocolate Nutella mug cake is my go to for the quiet moments that I savor after the kids go to bed. It's a perfect little serving of moist chocolate cake that goes great with a big glass of milk. I originally found this recipe at Table for Two. I'd tried a couple other mug cakes before and wasn't impressed. The texture was always weird. Until I found this one. It was so good! The texture is more cake-like since it's made without eggs. I made a few changes but the recipe is mostly the same. 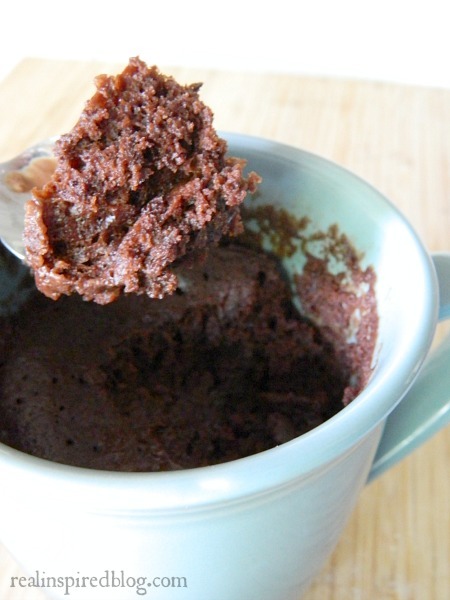 If you hop over to Table for Two, Julie has a few suggestions for subbing out the Nutella AND more mug cake recipes! And her pictures are way prettier. 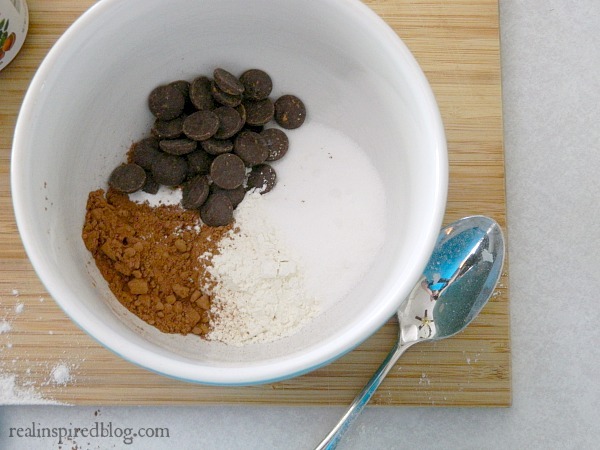 Combine flour, cocoa, sugar, baking powder, and salt in a bowl and mix well. Whisk in milk and oil. Stir in chocolate chips and then pour into a mug. 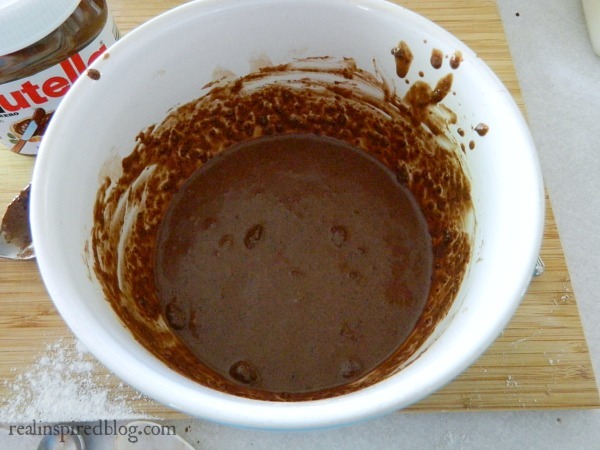 Add tablespoon of Nutella in the middle of the cake batter. Microwave for 1 minute and 45 seconds*. Add a sprinkle of chocolate chips on top if desired. Enjoy the chocolate gooeyness! *The time in the original recipe is only 70 seconds. Obviously, my microwave may have issues. I'd start with the original time and increase time in 10-15 second increments if needed. This may just be me, but mine always cooks from the bottom up so remember that even if the top is a little gooey, the inside may be finished. If it's overcooked it will become too dry on the bottom. I realized that I never got a shot of the cake texture in my first photos so I shot this one the other day. See how rich and cakey it is? 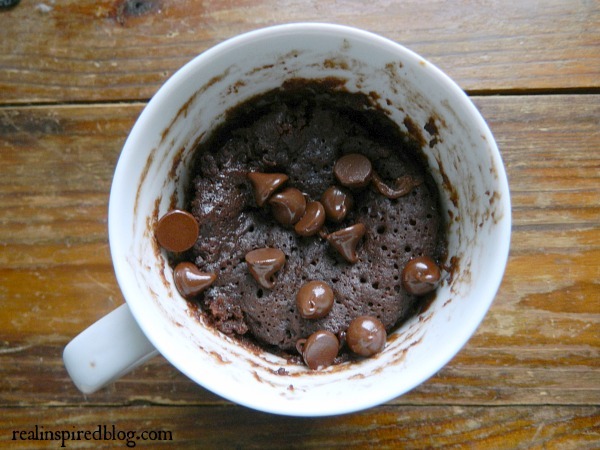 This cake has ruined me for all other mug cakes! Sometimes I can't finish it because it's so rich. That's when I reluctantly hand it over to Hubby. So go forth and make yummy gooeyness!